You'll be £16.99 closer to your next £10.00 credit when you purchase Guildhall: City of London. What's this? 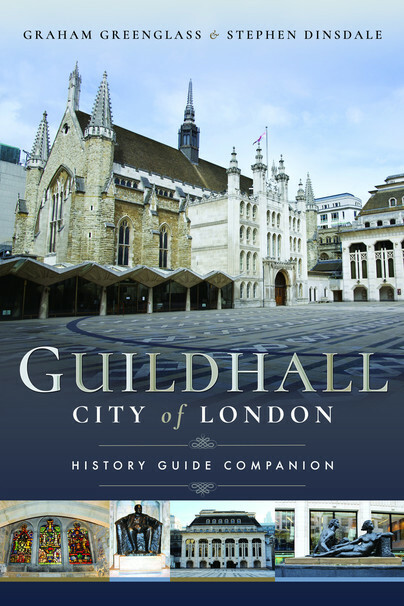 This is the first ever comprehensive history, guide and companion to the Guildhall, City of London. After the Romans deserted Londinium, where and when does London’s history restart? The answer lies within the highly visible, but rarely seen, ceremonial centre of the City of London: Guildhall. This fascinating complex of government buildings is central to London’s development, from Saxon times to the 21st century. It is the scene of royal banquets and historic trials, home to one of London’s finest art galleries and archive to the nation’s most comprehensive library of London books. Roman London’s only amphitheatre lies beneath, visible today and publicly accessible for the first time in seventeen hundred years. The City of London Police Museum relocated in 2016 to a larger, newly designed, accessible space within Guildhall Library. A history of Guildhall was last published in the 1920’s. It was heavily bombed in 1940 and this will be the first book to record Guildhall’s remarkable architectural and cultural resurrection since the end of the war. Photographs and images previously unpublished will be included and for the first time this book will also feature a comprehensive guide to Guildhall’s many publicly accessible areas. Only one British building hosts banquets for British monarchs and visiting heads of state: Guildhall. Only one London building has a continuous story since Roman London: Guildhall. Only one building has governed the City and still directs its future: Guildhall. This illustrated history and companion to one of London’s most important and oldest buildings will prove indispensible to all interested in London’s history. This book is full of fascinating facts and stories and I’m ashamed to say, as a Londoner born and bred, I was ignorant of many of them, so it also serves as an educational tool for the likes of me. The book has now inspired me to revisit the whole precinct under its expert guidance. Everything you could ever want or need to know about Guildhall. Great work by the authors who have written an accessible and clear volume, of use to anyone with an interest in Guildhall. This is an excellent book about an underrated area of London. It is well researched and well presented. It mixes a lot of history with many anecdotes and contains photos, illustrations and paintings. The various buildings are described , when they were built and their uses. The book also shows which parts are open to the public - mostly with free entry. You could use this as a guide book as well as a momento of your actual visit. I live in London and work pretty close to the City, but I didn't know anything about Guildhall until I read this book. It covers it's colourful history as well as it's art, sculptures and architecture (which is quite significant). What's really useful is that this book is also a self guide if you want to actually visit Guildhall. It's very accessable. I would definitely recommend this book to anyone who is interested in learning more about the history of London and one of its often overlooked buildings.